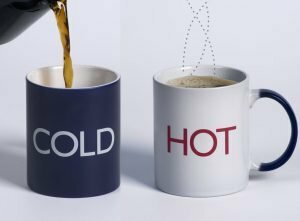 As we bring this mini-series of blogs to a close we are going to look at the seventh reason people are lukewarm in their relationship with Jesus and even with the Church. People are lukewarm because of their unused gifts. Scripture is crystal clear. The call of God is the call to service. The good news is that every follower of Jesus Christ has one or more spiritual gifts (see 1 Corinthians 12:4-11) received when they are baptized in the Holy Spirit. But then it all goes south. Studies have shown that in the church, a gigantic 80+% of Christians can’t even tell you what their spiritual gifts are. No wonder we live without purpose or passion. We are not being used the way God intended. We are lukewarm. In Scripture we read, “Since we have gifts that differ according to the grace given to us, each of us is to exercise them accordingly” (Romans 12:6). It is our responsibility to seek out our gifts in order to use them to influence others and impact our community so as to change the world. God has a niche for each of us that He wants us to discover. 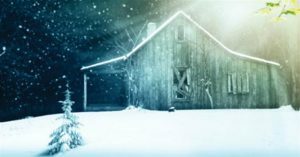 Since it was first published in 2007 the Shack has sold over 20 million copies. This week it was released as a motion picture. This is a book and a film that will book will influence the popular religious imagination. After discussing it’s strengths, Tim Keller shares his concerns. At the heart of the book is a noble effort—to help modern people understand why God allows suffering, using a narrative form. . . . However, sprinkled throughout the book, Young’s story undermines a number of traditional Christian doctrines. Many have gotten involved in debates about Young’s theological beliefs, and I have my own strong concerns. But here is my main problem with the book. Anyone who is strongly influenced by the imaginative world of The Shack will be totally unprepared for the far more multi-dimensional and complex God that you actually meet when you read the Bible. that the holiness of God makes his immediate presence dangerous or fatal to us. the balance and complexity of the Biblical God. Half a God is not God at all. Another reason for believers becoming lukewarm and no longer either hot or cold for Jesus is unresolved conflicts. Jesus was very clear about keeping short accounts and dealing with issues as they arose. He said, “Therefore, if you are offering your gift at the altar and there remember that your brother or sister has something against you, leave your gift there in front of the altar. First go and be reconciled to them; then come and offer your gift” (Matthew 5:23-24). Many think that the Bible states, “As much as you can, live at peace with all people, and when you are unable, live at a distance.” This is simply not biblical and never has been. We all have conflicts, but unresolved conflicts drain our energy and sap our passion. It’s like lettering the air out of the tire. Life just goes flat. Almost 50 years of working with people and leading churches have convinced me that the three most dangerous and damaging emotions that can fill our lives – resentment, jealousy, and anger – will kill every time. They kill relationships, marriages, and the human spirit. Sometimes we are in situations at work or home where there is constant conflict. Sometimes there is nothing we can do about it. How do we keep it from draining our lives? This is the very reason God tells us that forgiveness is so important. This is why God teaches is again and again to forgive other people. When we don’t forgive, anger and resentment start to control our emotions. And when they control our emotions, they begin to control our lives. We have to let go. This might be an urban legend, but baseball legend Billy Martin told this story on Late Night with David Letterman. Bill Martin was known for altercations during games, engaging in public brawls and getting himself fired. His anger was well chronicled through five decades of play. In his autobiography, he tells about going hunting with teammate Mickey Mantle. Mickey had a friend in Texas who allowed him to hunt on his ranch. Mickey drove up with Billy an went to see his friend. Mickey said that he would do it. On his way back to the truck, he decided to play a trick on Billy, who himself was known for practical jokes. Mickey acted irate and told Billy that his friend wouldn’t let them hunt. “You can’t do that!” Billy said. Mickey pulled out his gun and walked down to the barn. He put the mule out of his misery and started walking back to Billy. As he walked, laughing to himself, he heard a couple of more shots. He got to the truck and Billy was gone. Billy showed up a minute later. “Where’d you go?” Mickey asked. Anger is a terrible master. Jesus said not to live with unresolved conflicts. So far we have seen that people who are lukewarm have: undeveloped faith, uncommitted hearts, undeveloped character, and an unrepentant lifestyle. Today, let’s look at the fifth indication that someone is lukewarm as a Christian. Unread bibles lead to undernourished, undeveloped Christians. Recently, while in Turkey, I was part of a presentation where the Bible was presented to three different ethnic groups who now have the Bible, for the first time, in their own language. The look on their faces and the hunger in their hearts was amazing. And, we get up every day and have a shelf full of bibles in our own language and think nothing of it – and often don’t read it. The starting point for living as a citizen of the Kingdom and a disciple of Jesus is thinking well. Paul wrote to he Roman Christians living in a very worldly city, “Do not conform to the pattern of this world, but be transformed by the renewing of your mind. Then you will be able to test and approve what God’s will is – his good, pleasing and perfect will” (Romans 12:2). The big question for the Romans, and for us today, is this: How do we live a transformed life while living in a not-at-all transformed world? Where do we find wisdom, strength, and encouragement to live a God-honouring life? The key to changing your life is to the change the way you think. This verse of Scripture doesn’t say, “Transform yourself.” You don’t transform yourself – you are transformed. Your part is just changing what you think about. Then the transformation happens. All change starts in your thoughts. Scripture says, “As (a person) thinks in his heart, so is he” (Proverbs 23:7 NKJV). The secret of changing your life is to change your thoughts. Then you become transformed. When we are hungry physically, we can eat and become full, so we are no longer hungry. The exact opposite happens with our spiritual lives. The more you worship, the more you want to worship. The more you read your Bible, the more you want to read your Bible. When we stop reading the Bible, we stop craving the Bible. When we stop going to church every week to worship the God who created us, we develop a smaller and smaller appetite for going to church. Every week, circumstances and situations conspire to shrink your heart and shrivel your spirit. People are rude to you. People criticize or misjudge you. You face disappointment and worries, and you get bone-tired and fatigued. if you don’t nourish your spirit, your heart will grow cold and hard. Your spirit will decay. In old age, you will become that crotchety, cranky, grumpy, irascible person you never liked. No one wants to turn out like that. You don’t have to die before you die. Stop being lukewarm – read your Bible and come alive. A lukewarm Christian will have an unrepentant lifestyle. No one likes the word repent – although I am sure it is basically misunderstood. But, a Christian who is truly a disciple of the Lord Jesus and following Him closely, becoming like Him, is one who sees repentance as a vital and important part of their lifestyle. Taking a spiritual inventory and then repenting when and where needed is a regular occurrence in the life of those who are passionate for Jesus and His Kingdom cause. Millions of believers worldwide have settled for a faith that comforts them and doesn’t challenge or change them. Settling for a watered-down version of Christianity leaves them the same year after year. This is not new. Two thousand years ago, Paul the apostle wrote two long letters to the most gifted and least mature church, the church at Corinth, to identify the root reason so many people attend church but remain unchanged. It still happens today, when people say, “We want a version of Christianity that does not command us to repent. It tolerates our lifestyle and also affirms it.” People who think this way don’t exist to glorify God. To them. God exists to grant permission to do whatever they want. 1> People who know God (1 Corinthians 2:12-13) These people are forgiven, filled with the Spirit of God, and beginning to live a God-honouring life. 2> People who don’t know God (1 Corinthians 2:14) These people are disconnected or distant from God. 3> People who know God, but live like they don’t (1 Corinthians 3:1-4) These are “infants in Christ” who require the “milk” of the Word and not “solid food.” They are people of faith; however, they lack faithfulness. Somehow, Christianity has been corrupted by the wide-spread teaching that the only thing that matters to God is what you believe. Almost all Christian churches require adherence to a statement of faith. That is a good thing, because the Bible is clear: what you believe does matter! But equally important is this: how you live matters to God. And when the way you are living doesn’t match up with what the Bible calls you to, does not match up with your beliefs, God has a one-word solution – repent. The striking words of Jesus in Revelation say, “Therefore repent; or else I am coming to you quickly, and I will make war against them with the sword of My mouth” (Revelation 2:16). Get free from your past! Repentance is God’s invitation to let is grace enable you to let go of your past. Change your future! Repentance is God’s invitation to experience His power to change. Break bad habits! Repentance is God’s invitation to stop doing wrong and to start living right. Heal your image of God and your image of yourself! Repentance is God’s invitation to jettison flawed, destructive thinking and to start building your life on His truth and wisdom. Make an impact! repentance is God’s invitation to stop self-centred living and start giving, serving, and caring. Repentance is one of the great gifts of God, yet it requires humility, because it starts with saying to God, “I am wrong, You are right, and I will submit.” Then a brand new beginning starts! When this becomes a reality then you will no longer be happy or content with lukewarm. Those who are lukewarm, as we have already seen, have undeveloped faith and uncommitted hearts. They will also have undeveloped character. Character is an inside job. And, so often we focus on the outward lifestyle and al the requirements added when we became believers – Bible reading. prayer, worship… all of which are good. But they are only tools God uses to adjust and change our character. We treat them as rules to follow while God is hoping that these tools, if handled correctly, will work on the inside – changing our character. However, those who are not passionate about following Jesus will have character issues that need to be dealt with and will avoid making the needed changes so that they can become more and more like Jesus. One author wrote: “There are two kinds of cars. Concept cars that are wild cars some engineer dreamed up. Maybe they are made of fibreglass with wild tail pipes or painted flames, or maybe they have a hot tub in them. They are designed for just one purpose – to get people to ooh and ahh and drool over them. But you can’t buy one, because the company has no intention of making any more. It’s a one of a kind. Unique. They are a blast to look at, but there is no way anyone is actually making that car-boat-plane-expresso maker for your garage any time soon. Often we look at Jesus as a concept car. One of a kind. We see Jesus and know that no one else will ever be like Him. But the apostle Paul says nope, Jesus was not a concept car. Jesus was a prototype, the firstborn, the model for thousands and perhaps millions that will come after Him. Jesus was meant to be the firstborn son among many brothers and sisters. In other words, God’s goal is for you and me to become like Jesus. The apostle Paul confirms this: “For those God foreknew He also predestined to be conformed to the image of His Son, that He might be the firstborn among many brothers and sisters” (Romans 8:29). Now, what he means is this: as remarkable , unselfish, kingdom-centered, and incredible as Jesus Christ Himself was, that is what God intends for all of us to become. Paul also wrote, “Being confident of this, that He who began a good work in you will carry it on to completion until the day of Jesus Christ” (Philippians 1:6). This verse indicated that God is working behind the scenes, twenty-four hours a day, to bring about this kind of change in your life if you let Him. Lukewarm people don’t give Him permission to even start let alone bring the work to completion. This promise should be a great encouragement to those of us who think that spiritual growth and maturity is unattainable. No one is more committed to helping you grow as a Christian than God, and He’s working night and day behind the scenes to transform you. If you let Him. If you are passionate about Him and want to be like Him. A lukewarm believer is someone who has not allowed God to change their character and move them into maturity as a believer. They simply were born again and nothing else has changed since they first met Jesus. They are lukewarm and not real followers of Jesus. As a result they have an undeveloped character. Many believers today are lukewarm in their Christian faith and how they are living their faith out in every day life. Yesterday we looked at “Moralistic Therapeutic Deism” and the fact that this is not compatible with the Christian faith and simply does not challenge, grow, or develop our faith. Thus we are, in some ways, defective Christians who are not living a Bible-based lifestyle. Imagine a football coach gathering his team and challenging them by saying, “Guys, we are going for the championship. This is our year! And let me tell you what it’s going to take – I’m going to need you to give … a 50 percent effort. None of us would settle for this attitude in any other area of life, so it is amazing how we tolerate this spiritually. Many of us treat Jesus like He is simply another option – and we can choose to be strongly committed one day and not another day. Or, we can say “yes” to this aspect of life He spoke about but ignore Him and say “no” with regard to this other area of life. We are following Him at a distance. We are a fan or a follower. But, He demands that we be His disciples. There is a world of difference. God doesn’t want you to settle for Him. God doesn’t want 10 percent of your life. He doesn’t want 50 percent. Not even 99 percent will do. He wants total commitment. He wants all of your life – all of you. So, we can’t hold to the out form of our religion and deny the life-changing power of the Gospel (2 Timothy 3:5 and Romans 1:16). One of the main reasons Christians settle for lukewarm and are not passionately journeying with Jesus is because they have not developed their faith. They have believed in Jesus and what He accomplished for them on the Cross. They have made Him Lord and Saviour. But, they have never moved forward in their faith or even grappled with what it means to believe (have faith) and be a believer, a disciple, a true Christian. Statistics show that the fastest growing religion in North America is not Christianity or Islam or Buddhism or Hinduism or Amway. It is not even atheism or agnosticism. According to studies made and published the fastest growing religion, especially among the youth, is something identified as Moralistic Therapeutic Deism. Jesus said (Matthew 10:38)… “If you refuse to take up your cross and follow me, you are not worthy of being mine.” This journey of following Jesus grows faith in the believer. This new approach to the Christian faith – that actually destroys faith and does not allow it to develop – would never quote this verse but instead would believe (have faith) in a rewrite of a different verse ….”Do not let your hearts be troubled. Believe in God. Believe also in whatever you want.” This, of course, requires no faith at all and certainly will not develop or challenge, and thus grow, true faith in God. Let’s quickly look at Moralistic Therapeutic Deism. MORALISTIC: means that God wants people to be morally good and kind to each other. The problem is pinning this down. What does that “goodness” look like? Nobody seems to know. And, of course, Jesus said that there was none good except God the Father. THERAPEUTIC: means the central goal is to be healthy, happy, and feel good about yourself. What does appropriate health and happiness look like? That also is unclear. DEISM: means that there is a god who exists, but he isn’t necessarily involved in your daily life. This god does not really place demands on us but is always available when we have a problem. What is so dangerous about this religion is that many people in Christian churches think of themselves as Christians but are really embracing this new teaching. And this “religion” clashes head-on with Jesus who said things like, “The Son of Man did not come to be served, but to serve, and to give His life a ransom for many” (Matthew 20:28). Unwitting victims of this new politically correct orthodoxy are missing out on the real adventure of faith and true Christianity. This ‘Moralistic Therapeutic Deism’ is not following Jesus. It is not biblical faith. it is not God-honouring living. It is a watered-down version of the Christian faith that isn’t Christ-centered. This new “religion” declares, “You don’t have to sacrifice. You don’t have to listen to the tough stuff Jesus said.” This is a direct clash with Jesus, who said, “Whoever wants to be My disciple must deny himself and take up his cross daily and follow Me” (Luke 9:23). This is the first of many reasons why Christians today are often lukewarm in the faith.